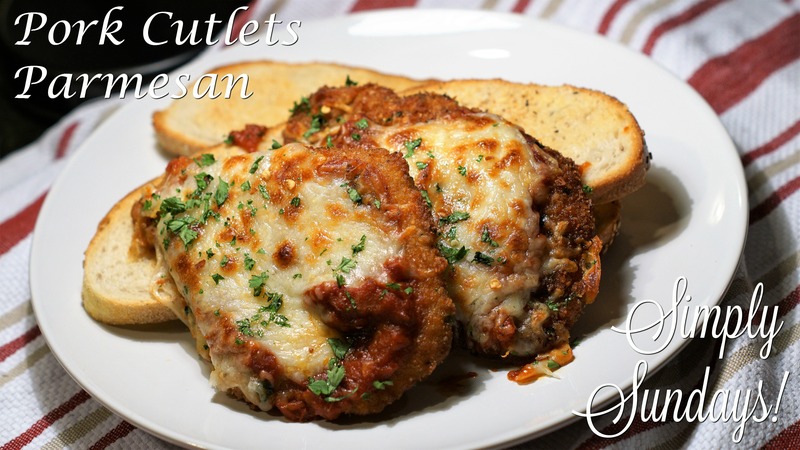 Pork Cutlets Parmesan – Simply Sundays! Well today we are making pork cutlet parmesan! This is something I learned from my partner in crime (the Mrs. ), who taught me this to avoid a lot of extra mess in the kitchen! Why 1 side you ask? This is how Mom does it! If you don’t you can use the Italian method. Sprinkle the oil with bread crumb and if it fries up and floats to the surface you are good to go!